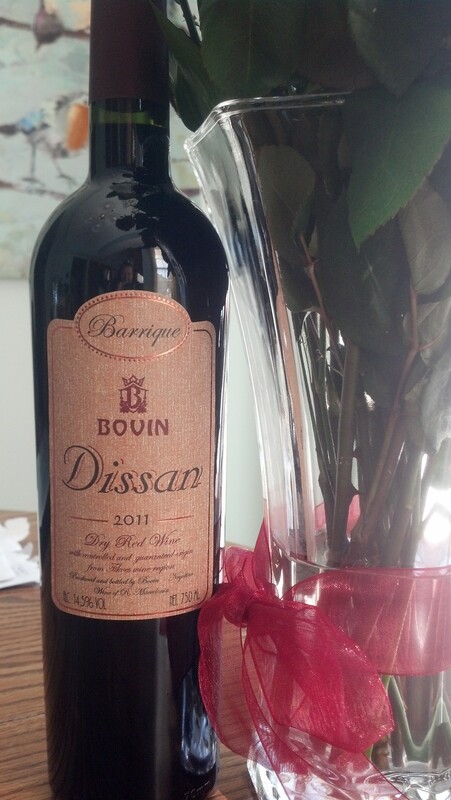 2011 Bovin Dissan Barrique Red Wine | Wine Splash! There is nothing like being surprised by a wine you had no idea existed in this world. But this red wine made from the Vranac grape variety is simply out of this world! From the mountainous Tikves region of Macedonia, Vranac translates roughly to meaning “strong black” which describes this wines character very nicely. Inky black in color with a slight red hue. Aroma’s of tart cherries, ripe black plums, and wild red berries. Full bodied, rich, and velvety across the palate. Intoxicating flavors of blackberries, blackcurrant, mocha, and a hint of mint. Complex yet balanced. On the second sip, savory flavors of ripe black cherry and rich dark chocolate leads to a long, elegant finish. I don’t find wines from this area very often so finding this amazing wine was a wonderful surprise! Full of flavor and perfect in just about every way. My interest in the Vranac grape variety and wines from Macedonia has been greatly heightened since this wine crossed my palate. My next goal is to find a few more wines from Macedonia and see if I can find anything close or comparable to the Bovin Dissan Barrique. This wine would pair perfectly with roasted pork dishes, game, lamb, and medium to sharp cheeses. 95 Points and about $28 a bottle. WineSplashing! !